Leah Senior silences audiences with her other-worldly presence and unique lyricism. Her breakthrough album Pretty Faces twirls gently in its own form of psych-folk revival. 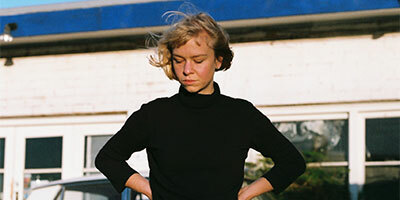 The Melbourne-based folk artist creates fragile but effortlessly nimble melodies that demonstrate a clarity of thought and studied discipline beyond her years. Her songs evoke the familiar and the peculiar, the poetic and the plain. Pretty Faces sat proudly on the Flightless Records roster of 2017 and her distinctive voice also featured on King Gizzard’s apocalyptic album Murder of The Universe, as the omnipresent female narrator.